The post is sponsored by The Home Depot. All opinions are my own. Hey guys and Happy Thanksgiving! 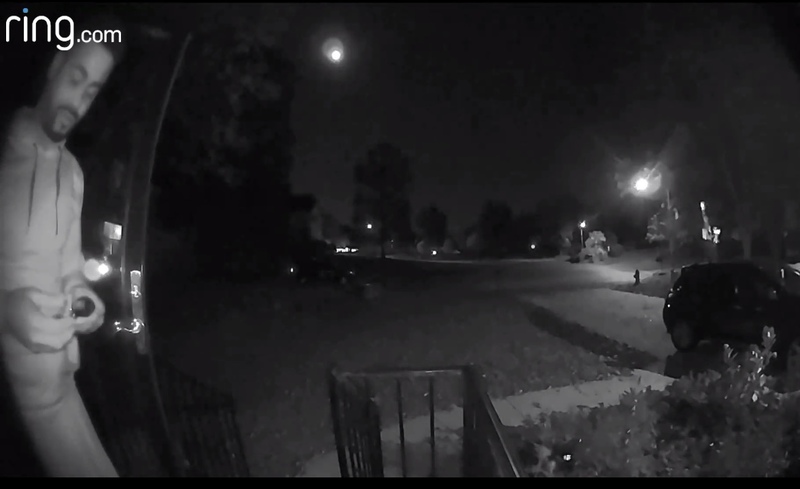 I am so excited because we finally got around to installing our Ring™ Video Doorbell, Floodlight, and chimes to our home and I am so in love. 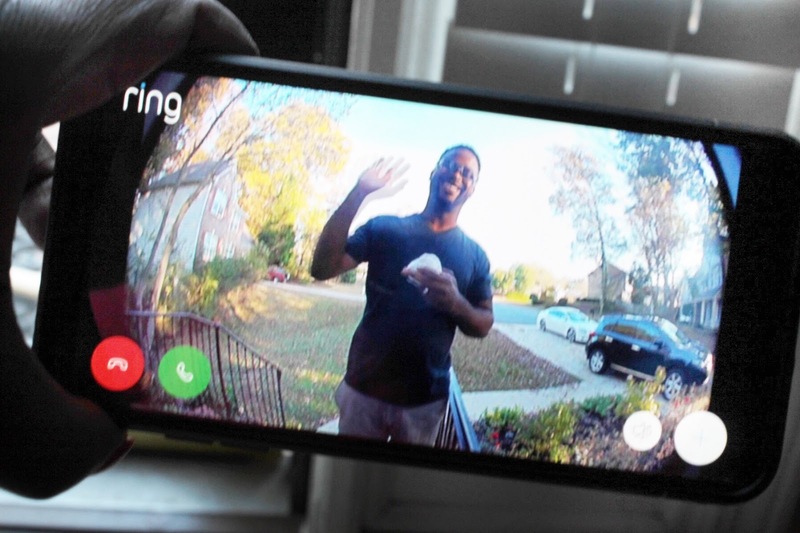 If you aren’t familiar with Ring™, this system allows you to watch over your home in crystal clear 1080HD video, and see, hear, and speak to your home visitors from anywhere.With instant mobile alerts and two-way talk, you can answer the door from your smartphone, tablet and PC. 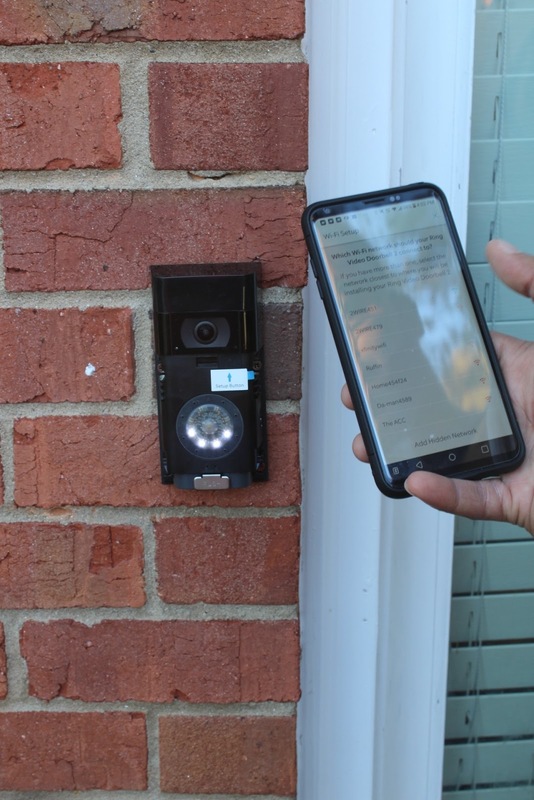 What I really loved about this system is that it was super easy to install, as the doorbell took only about 20-30 min to install, and the flood light took about 30-45 minutes. 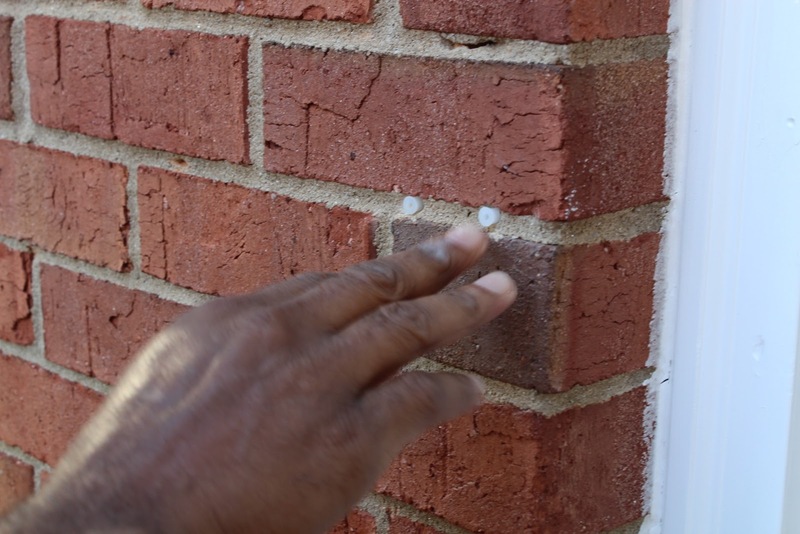 To start, you must first figure out placement of your doorbell. 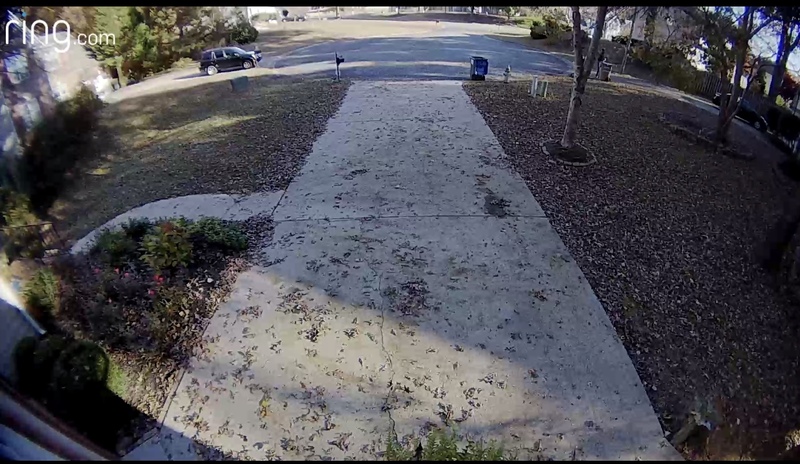 For us, our initial doorbell was on the right side of the front door, instead of the left. We knew we wanted to change that. The only problem is that is where the hard wiring is located. To move this wiring would have been way too time consuming. 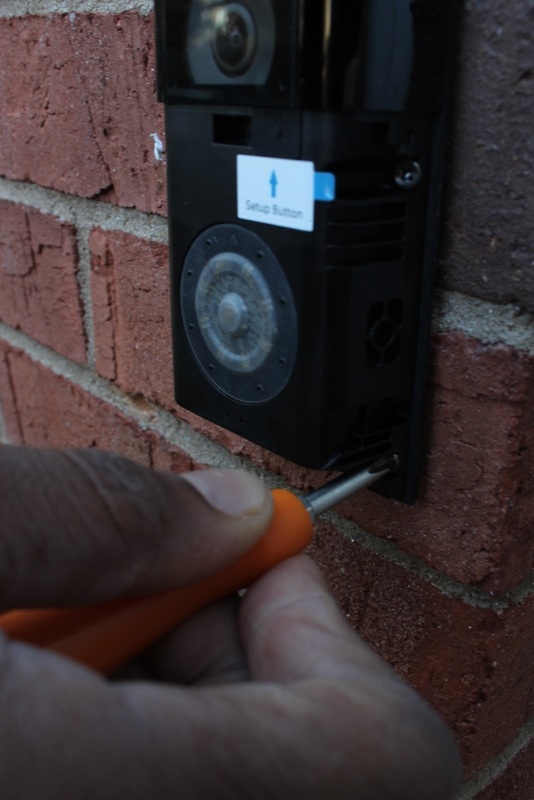 And what I like about the Ring™ Doorbell system is that you have the option of installing the system hardwired, or by using the removable, rechargeable battery. 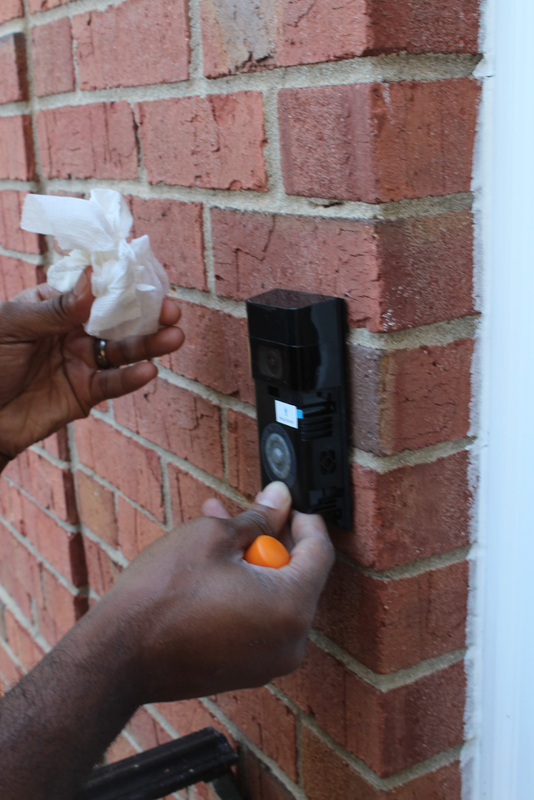 We opted to move the doorbell and install with the battery. Also, keep in mind that Ring™ recommends that you install the system 48 inches from the ground. 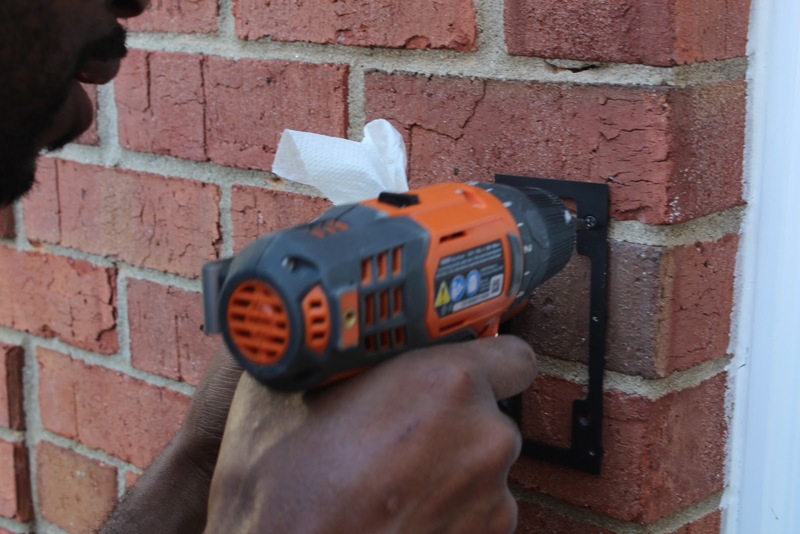 Once figuring out your placement, using the drill bit that Ring™ provides in your install kit, drill your holes and place the wall anchors in the hole. Once your anchors are in place, the Ring™ template can be put in place. After installing the template, you install the inner portion of the system. 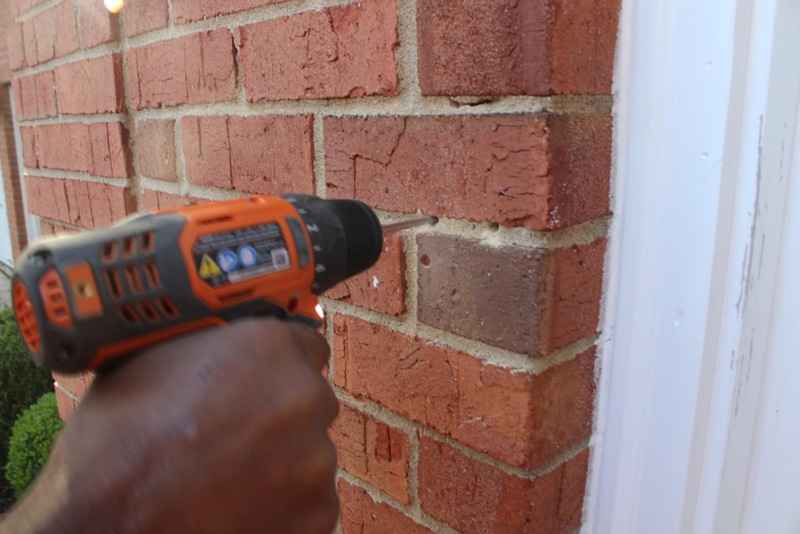 This is all held in place by several mini screws that you can install using the mini screwdriver that comes with your Ring™ install kit. Now you are ready to sync the system with your Wi-Fi. You do this by first installing the app. 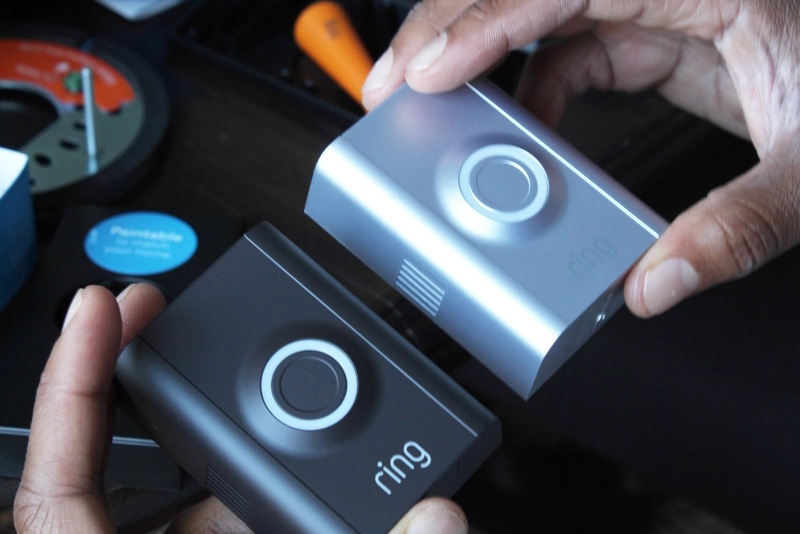 After installing the Ring™ app, you are walked through several prompts in order to sync the system to your home Wi-Fi and phone. Based on the directions, you will know if the everything syncs properly through a series of blinking and non blinking lots. It was easy to sync ours correctly on the first try! I’m telling you. Anyone can do this. 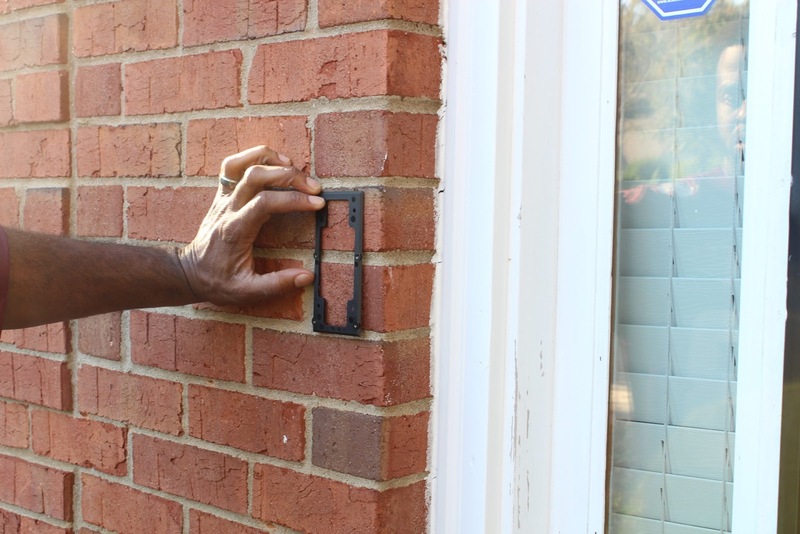 In the installation kit, you are given a couple of face plate color options. We opted for the silver or the brown. Once the face plate is put on, that’s it! Installing the floodlight took a bit more work, only because my husband initially forgot a step, but once he figured it out, we moved right along. Basically, if your are savvy with installing light fixtures, this is pretty much the same process. My husband started by removing our original 20 year old floodlight. This light stopped working a while ago so the front of our garage was never well lit. Initially, my husband forgot to install the silver bracket that securely attached the floodlight into the designated area. But its easy to know when you skip this step, because you aren’t really able to move forward. Once he figured out his mistake, he detached all of the wires and added the silver bracket that was included in the kit. He then proceeded to reattach the wires to the new flood light. Once everything is attached and secure, voila! You are all done. 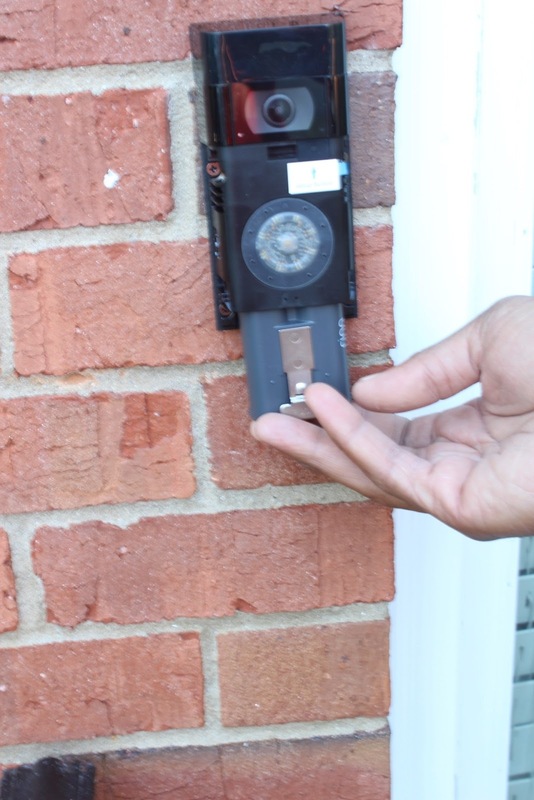 So that the sound of the Ring™doorbell is heard throughout the house, and not just on the phone, we took an additional five minutes and added a chime to an area in my entry. 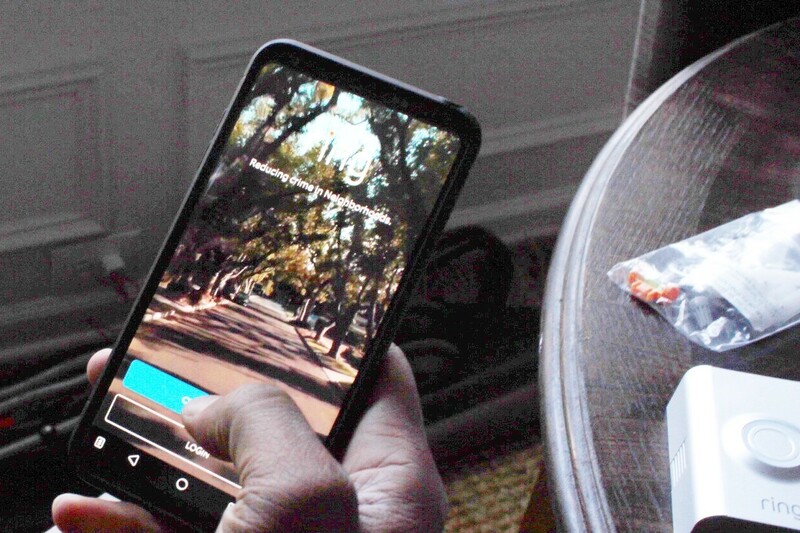 The chime is easily plugged in and connected to your devices through Wi-Fi. 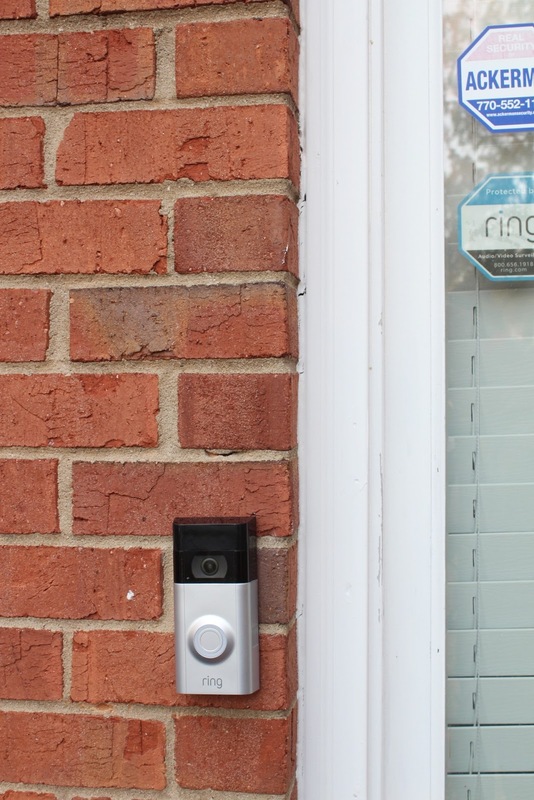 I love the added security that my Ring™Doorbell and Floodlight has provided for me and my family. I love that even when I am away, its nice to know that I am alerted if there is anything happening around my home. So what do you think? 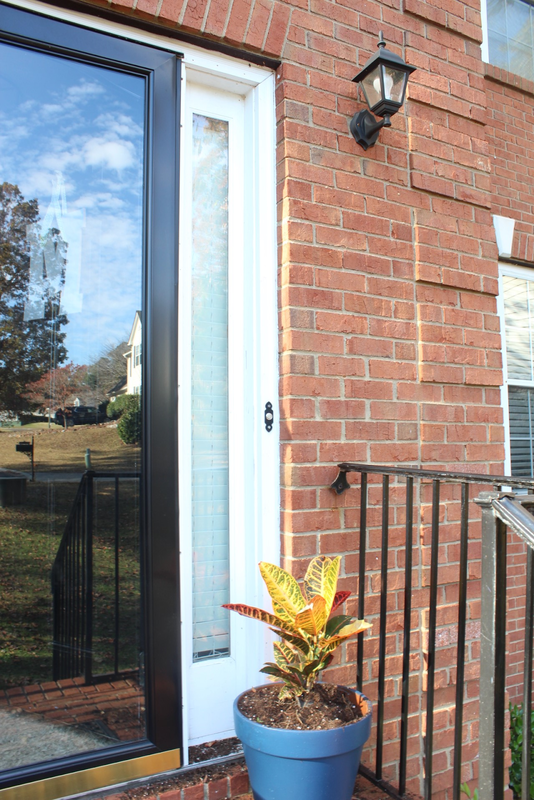 Have you been thinking about adding Ring™to your home? 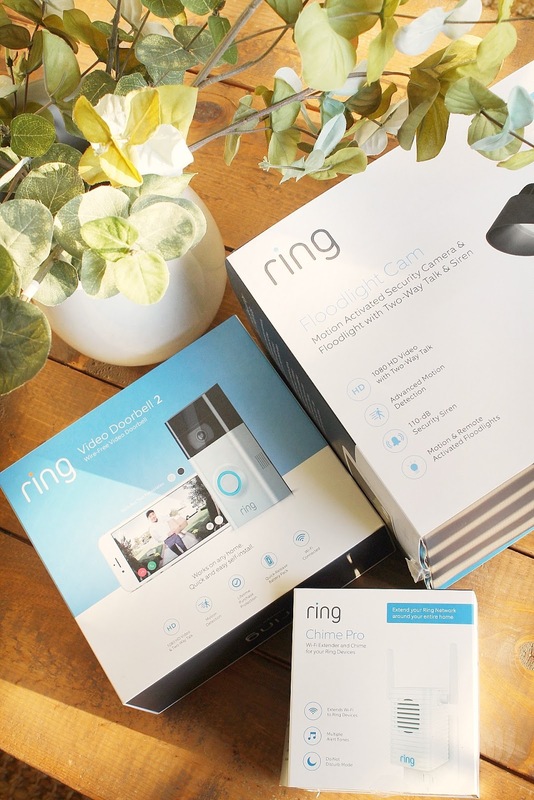 Do you already have Ring™ products in your home? Either way, let me know in the comments below. I’d love to hear your thoughts! Hey Erin! This post couldn't have come at a better time. 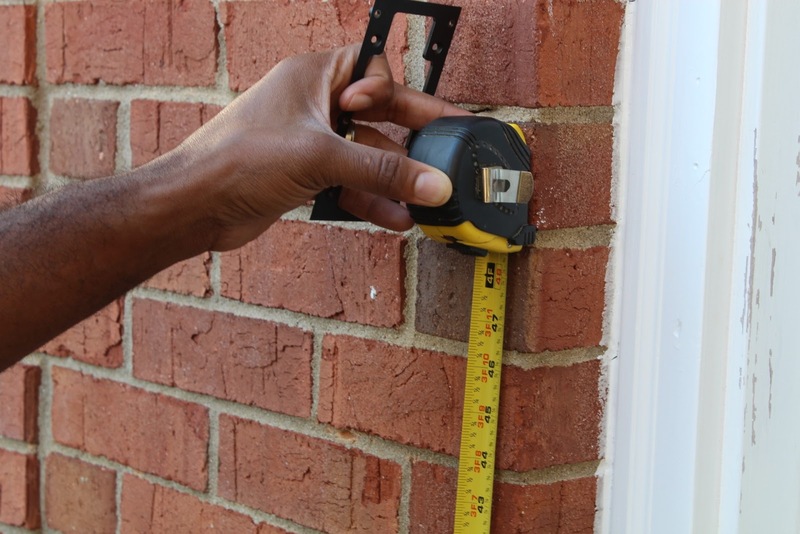 I'm been looking into getting one of these–your post is super informative and the installation looks pretty easy! Thanks for sharing.